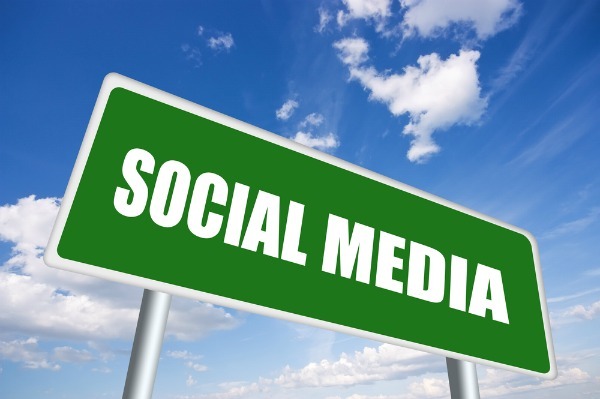 Social media is definitely one of the most widely discussed aspects of Internet marketing today. However, most companies take a shoot from the hip approach and make it up as they go. What companies really need to do is take a holistic look at social media. They need to ensure that it works with their other marketing efforts and overall search engine optimization plan. In this post, I’ll go over some really easy ways to make that happen. For most companies, a blog is the key component for all of the SEO and social media efforts. I recommend treating the blog as your “headquarters” or “home base”. Sure, some channels will have dedicated content, but ideally you want to bring people back to your blog or website. When you set up a blog, the first decision is subfolder, subdirectory, or different directory. Each route has its pros and cons. I’ve discussed these in greater detail in an earlier post: Should Your Blog Be on a Sub-domain or Sub-folder. However, if SEO is your primary concern, a subfolder is still your best choice for distributing link equity and building overall domain trust. For a blog to be successful, you will need content–lots of content–on a regular basis. You also need to be concerned with the content’s quality. Not every post has to be amazing, heartfelt, inspiring, or life changing, but the quality should be consistently good, with at least 3-4 really standout pieces per month. There are lots of different opinions about how much or how often you should blog, but the simple answer is that you should blog as often as you can and still be good or interesting. If you aren’t a writer, it may be hard to produce an interesting body of work people want to read on a daily basis, so if you can get out two good posts per week, there’s your answer. The only danger to infrequent blogging is that, the less often you blog, the better your posts have to be. If you are only going to blog once a month, the post is going to have to be exceptional to keep people coming back. Otherwise, they may forget about you during the rest of the month. Content marketing is really what most people want to have happen with their blog posts, but they don’t know that’s what it’s called. You write a post and publish it … What do you want to have happen next? Ideally, you hope people will read your post, enjoy it, share it with their friends via email, post it on Facebook or Twitter, submit it to social bookmarking sites like reddit or stumbleupon, or if they run a blog or website, write about your post and link to it. But a lot of people are stuck in the “content is king” way of thinking, and they don’t put enough time, energy, planning, or actions into promoting the content they spent time and resources creating. If you are a well known company that is a household name, are a real world celebrity, or even just Internet famous, your reputation will precede you and your content will market itself. But most people have to take a more active role in promotion. Social bookmarking sites like reddit, and stumbleupon are where people post great stories they come across so that other members of the community can vote on them. The most popular stories are given extra exposure and get more eyeballs, visitors, and hopefully some links. Again, unless people from those websites regularly visit your blog, it’s unlikely it will get submitted on its own. In the beginning you’re going to have prime the pump and either submit the stories yourself or have a friend submit them for you. The mistake a lot of companies make is that they don’t bother to become members of those communities first before submitting self serving links. If the only thing you have ever submitted are links to your company blog, your submissions probably won’t do well. However, if you are actively submitting links from other websites that people find insightful, funny, interesting, or useful, you will usually have more success when you submit your own links. There is no magic percentage you should shoot for, but as a rule of thumb I recommend that you submit more of other people’s links than your own. If you want people to submit or vote for your stories on these social bookmarking sites, it’s probably a good idea to put the voting buttons on your website. There are tons of plugins that make integrating the buttons really easy, or you can use your own custom code if you want. While you can include lots of buttons, I would recommend only using a handful of sites that include readers who are most likely to appreciate your content. Linkbait is a special kind of content that has been specifically created to appeal to the users of social bookmarking websites like those mentioned above. Unless you have an exceptional writer, not all of your posts are going to be exceptional enough that someone will submit them to a social bookmarking website. In most cases, most of your content will never get submitted or will only get a small number of votes or amount of exposure. Linkbait is different. This is content that was created to be shared. It’s exceptional in one way or another. It can be helpful, insightful, introspective, touching, deep, meaningful, funny, or even stupid–it doesn’t matter as long as it’s exceptional. When you publish these types of posts, you want to help guide it towards its desired result without being seen as a spammer. If you have everyone in your office on the same IP give the content you submitted 50 votes in an hour, it’s going to look suspicious. Nudge it along the way, but don’t force it. Do things like asking people to vote for your story at the end if they like it or to share it with their friends. When companies look at Facebook and the amount of time people spend there everyday, they salivate like a lion that has spotted a herd of wildebeest at a watering hole. In fact, a Facebook advertising executive was recently quoted as saying “brands are obsessed with Facebook” . However, what you really need to understand is that most people come to Facebook to interact with their friends and family not with companies and brands. There are some exceptions of companies who have loyal fans but most people become friends or fans of a brand because they are looking for sales, coupons, or discounts. Facebook populates your newsfeed with something called edgerank: the more a customer clicks on your links, the more often it will show up in their newsfeed. If they never click your links, it will eventually stop showing for them entirely. Some reports estimate that only 3-7% of your fans will ever see your updates. If you want your fans and other people to see and share your linkbait content on Facebook, you will have to find ways to increase the number of links from your feed that they click on. Since most people want discounts, coupons, or sales, give them what they want. If you have old, refurbished, damaged items or products that you can’t sell at full price for whatever reason, here is your opportunity to make them work to your advantage. If your Facebook fans are clicking your discount product links, they will have a very good chance of at least seeing the content links you post. After Facebook, Twitter is one of the most appealing websites that companies want to be involved on. Twitter can drive a huge amount of traffic to your website in a very short period of time. However the content has a very limited lifespan due to the nature of its rapid updates. Ideally you want people to click on the links to your content, come to your website, and perform an action like enter your sales or lead gen funnel or vote/share your linkbait or other content. The second most desired action on Twitter is for someone to retweet or reword and share a link to your content. Lots of studies have shown that the retweets come in clumps, and the longer it’s been since someone has retweeted or shared a link to you, the less likely it is to happen. As long as you don’t do it on every post, rewording and tweeting the same link 2-3 times a day should be ok. If you do it every hour, most people will find you annoying, so balance is the key. Asking for retweets is another proven method that works, as does having your friends tweet your links. Again the key here is to nudge things in the direction you want them to go without forcing them. Another important trait that Twitter shares with other social networks is that, to be successful, you don’t want to be to self serving and ego centric. If the only thing you ever tweet are links to yourself, you won’t have a lot of followers, you’ll get very little action, and you’ll drive very little traffic. However, if you post good quality, relevant links from other people about your subject matter, you will find you will get more followers and have a higher level of engagement. Retweet links that other people post, especially the ones that are important to them, and you will have friends who will likely reciprocate the action. Set up searches for phrases that allow you to help people solve problems, and you will find more friends and followers than you will ever need. The danger is that all of these actions can be very time consuming. To get the greatest return on your time investment, look for ways be as efficient as possible and get as much done in as short a period of time with as little effort as possible. In most cases, your content is going to go on your blog. You have it set up so that new posts automatically post to Twitter and Facebook. Your voting buttons are in place for social bookmarking sites, making it easy for people to share and market your content for you. However, sometimes you need a little more. Sometimes you want to create content specifically for one social network that takes advantage of aspects that website has to offer. For example, while pictures are part of Twitter via any of the picture services like twitpic or yfrog, pictures are much more tightly integrated into Facebook. The restaurant Houlihan’s created coasters named “Coaster McGee,” created a Facebook profile for it, and asked people to take pictures of the coaster being used or in the picture with them. When people posted the pictures, all their friends saw the funny pictures and were reminded about Houlihan’s. Anything that you can do that incentivizes your customers to let others know about you or your product is a good idea. You just need to make sure you make it as easy and fun as possible, so that more people will participate and it seems more like a game than like crass, pushy, invasive advertising. While this post has only touched on some of the larger, more well-known social media websites, the concepts can be easily adapted to work on almost any social media platform. Set up a home base or central location to act as a “headquarters” for your social media activities and content. A blog is usually the best choice because it’s easy to set up and use. It can also be easily customized and has a library of pre-developed social media tools or plugins you can add on. Post content on a regular basis. Strive for quality over quantity. Don’t make your posting intervals so long that people forget about you. Create content specifically designed to appeal to social media audiences and give it a gentle nudge to help it get exposure. Become a participating member of the social media communities where you will be pushing your content. Have a history of being the person who submits and shares interesting things, not the person who only submit their own stuff. Use sites like Facebook and Twitter as satellite for your content. Share content and links, engage in conversations, and post the the types of links and content that the users of these sites want to see or will find the most helpful. This ensures you will have a large group of fans/followers who will see your content. Look for opportunities to create specialized content for these sites that takes advantage of the most popular parts of the site. Look for ways to motivate people to interact with you and mention you in their news feeds so that their friends will see it. Keep things simple and fun and with a low entry barrier to get the most participation. Michael, thank you for posts like these that are beneficial to even the smallest/newest of us making a go of it online. this feels like a cheat sheet, thats how good this is. definately a great article…….if the social media used in the right manner then it could be main source of traffic for any website or blog.. Very good article and the tips are really actionable. I see social media as a platform to gain the AIDA (attract interest desire action) which should be used strategically by marketers to ultimately brand a business and make the sales conversions. Analyzing data and A/B testing, really helped my business to grow from social media. Thank you, Sam. We appreciate the feedback.